I wanted to try out something new to allow for an even better judgement of a speaker's sound quality. Please let me know if you have some further ideas suggestions or wishes, so that this test could evolve to something helpful maybe. With this test, which I will simply call "fidelity test" I will try to focus purely on the fidelity of a speaker and how it sounds compared to the original recording. There are lots of speaker tests and speaker videos available on Youtube which will play you some song through a speaker to show off its sound qualities. Without any additional reference (another speaker or whatever), it is hard to tell if the shown speaker really sounds that bad, or if the used recording setup, microphone or even the room, where the recording was done is just that bad, so that it makes the speaker sound bad. Other videos are trying to compare several speakers at the same time, similar to what I was doing until now, but when switching over to the next speaker, there is hardly any difference noticeable. Such tests are pretty useless and wasted time for the creation part and for the watching part if you ask me. I don't claim that my videos I did so far to be good, but it really took an effort to make my setup as solid as possible and allow for direct speaker comparisons without having them at home at the same time thanks to referenced volume levels and a standardized recording setup with exact distances etc. Both would sound completely different if both were played back with the same loudness, with only the mids still resembling the same speaker. But due to equal loudness contours of the human hearing in reality the differences might not appear that obvious as the human ear hears low and high frequencies differently at different volume levels. Everything is not that easy, still the goal is to give the best representation of the speakers sound character and bring that into relation to the original recording. Of course with this test I cannot cover other aspects of a speaker's quality like directionality, loudness etc, as this would lead too far and make it too complicated. This fidelity test will only provide the soundquality exactly on-axis at optimum position which should give the best possible result for every speaker, I might vary the angle between speaker and microphone slightly if this gives a better result. Especially on Bose speakers the sound can change a lot if you turn them only a little bit. While many speakers might still sound good from higher above or from the side, I won't be able to give any statement on this like I already tried with some of my previous videos, where I also included sound recordings off-axis for comparison. The used recorder and microphone will also have an influence on sound. My first preliminary tests are done with the Zoom H1, it is definitely not the most linear recorder, but I found it to record low frequencies better than the H2n, or the Olympus LS10 which I had also tried before. It seems to have some problems with treble though. It sounds too harsh and metallic compared to the original sound of the speaker. I am in the process of trying out other recorders with a microphone that has hopefully a flatter overall response. Of course I am open for any suggestions. If other readers have more experience than me on this topic, please let me know. I really want realistic and representative results. So far I have chosen a funky recording from Fusion-bassist Gerald Veasley, I like this track and I think it is a pretty nice recording with good definition in both bass and treble, only mising some vocals. If you have better suggestions for a testtrack please let me know. It should be a rather non-commercial track to avoid copyright issues. Maybe there are even some real musicians among the readers who would like to contribute an own song, this could also be used as promotion for their own site etc. The premise is that it has to be a recording of high quality which allows conclusions to be drawn on a speaker's sound. 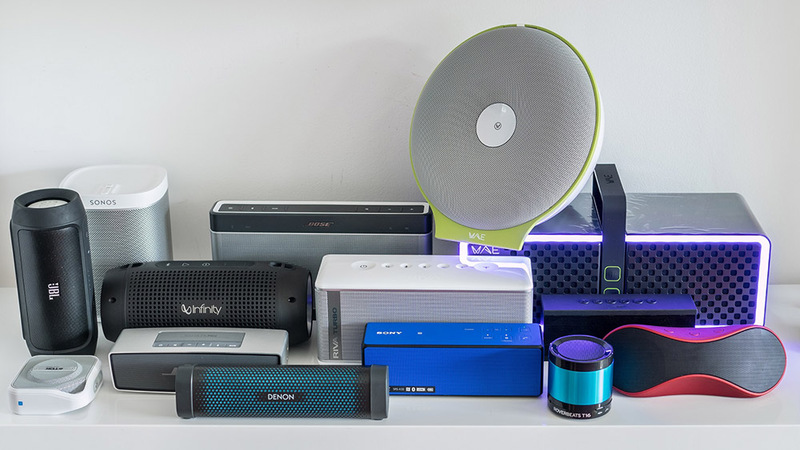 When executed well, this could become a big database for sound quality of various (portable) speakers that I was thinking of from the beginning. Here you can find some first videos with speakers I currently had at hand. If you listen to them over headphones, you will immediately notice the lack of any stereo imaging from the speaker recordings compared to the original track. Maybe for better judgement I should also convert the original track to mono? When listening to these videos through speakers the lack of stereo is not as obvious though. Excellet! 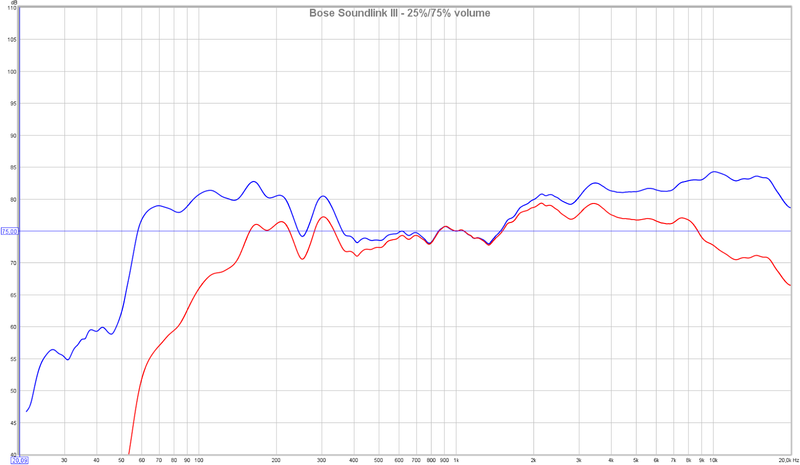 Its easier to find out how speaker sounds when compared directly to original recording. My only wish is test tracks which contains some vocals too. And thank you for amazing work! thanks, unfortunately i delayed this project as I have not found any microphone yet that would satisfy my needs for an uncolored audio recording. i also contacted some musicians if they would like to contribute some of their own tracks, but none of them wanted to offer anything. it is hard to find the right track for such a test. i am concentrating on binaural recording currently and will come up with some further tests this week. This is a GREAT idea. Ive' seen it done before, but on studio monitors. The used a pair of matched mics, calibrated by correction, I think. You can maybe find that somewhat famous shootout online. It's what influenced my decision to get the JBL 305 over others. You should be able to use a cheap measurement mic if you can get a good correction file. That means the mic would need to be calibrated by a lab. But that is cheap. Anyway if you can do it some more. It's what we want. Thanks. Very good test! This also what I do to evaluate speakers by mean of your "switcher" tool (which unfortunately is no longer accessible.. may be too much traffic? ).